I pride myself on my objectivity and often receive praise for that same objectivity and so I wished to take a moment to examine both the advantages and disadvantages of the Count's grip in order to offer you an informed decision on which deal you may choose. It is noteworthy that while I do appreciate the Count's grip and it gives me great pride, I don't currently use it exclusively, keep that in mind as you make your decision. The first advantage of the grip, though minor, is the ability to deal at great speed (enough for the invisible dealing concept) due to the wrist flicking action. Second, is the wonderful ability to perform all false deals from the same grip and while I described other handlings with similar abilities, this is the only one that allows not only the basic deals, but also the snap deal, benzais cop and punch deal (others also offer the punch deal). 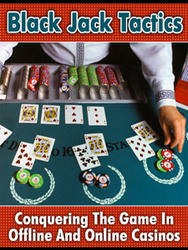 Third, I have a number of techniques I use for dealing passes (performing a shift during the dealing action) and each of these, which I will explain in a later volume, operates based on the handling for the Count's grip, namely the left corner take. Fourth, the grip suffers from little to no finger movement as a tip-off, particularly in regards to the bottom deal and Greek deal this is a tough claim to match. Fifth, and partly related to the previous point, the deal offers exceptionally easy access to the cards, making it a very easy deal to learn. Sixth, while there is a compromise in economy of motion by dealing forward instead of two the side, the reality is the most of the time when playing cards you aren't dealing to the side anyway, but rather forward, thus the deal makes perfect sense. Seventh, when you're performing most Greek deals, they assume the use of a "soft" card, but in some cases a hard plastic cover card will be used. I did some experimentation with hard cards and while buckling is possible, it is very difficult, and potentially impossible depending on what is used as a cover card, the Count's grip however simply glides this card and avoids such concerns. Eighth, the hand cover makes the deal seem very fair while offering exceptional flexibility and vast deceptive application unparalleled by other deals. Ninth, it's very different than the mechanic's grip. To give you an idea of what I mean here. 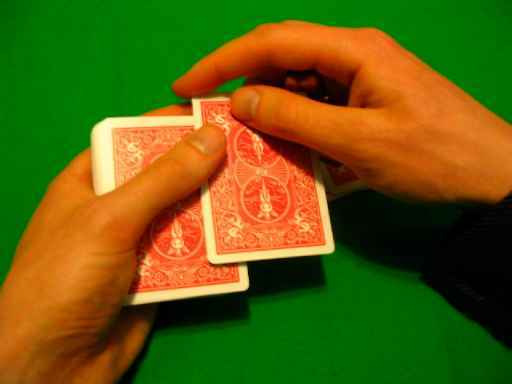 John Scarne said that most cheaters give themselves away before they ever cheat, simply by using the mechanic's grip, because it's associated with someone who knows how to handle a deck of cards. I find that the Count's grip gives a somewhat different impression and because it's based on a layperson's handling, it will hopefully appear unrefined to your audience.